Jenkor Brick Manufacturers – we manufacture and supply bricks to the Cape Town, Western Cape, area. Our busy yard opens at 7am weekday mornings. We are a family run business that has been operating in the Southern Peninsula for over 30 years. 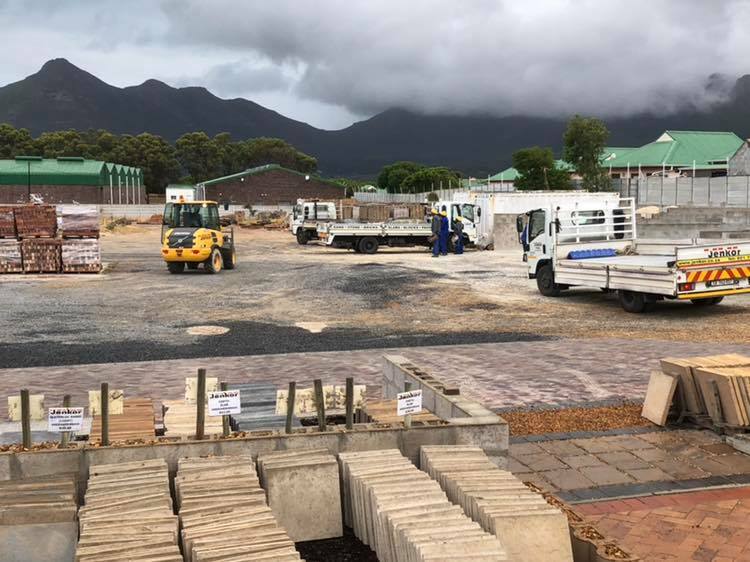 We supply clay and cement bricks, cement building blocks, sand and stone, as well as the supply and laying of new paving ( focusing on deep south only ) using decorative stone, cobbles, paving bricks or the latest simulated stone paving slabs. We also supply building materials – sand, stone, cement etc. Please contact us for more information, prices or to arrange a quote.